Designed in the mid 1920s as a revival font by Franzisca Baruch in Berlin. The letterforms were inspired by a Haggadah from 1526 printed with wooden type by the Gersonides family of printers in Prague. Issued around 1925 [Messner] or in 1928 [Seemann] by Berthold. 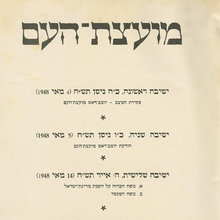 By 1930, a lighter weight ( Stam mager ), a condensed ( Rambam ) and an open/handtooled style ( Rachel ) had been added, without Baruch’s involvement. 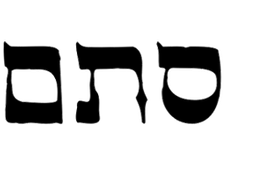 Stam is a Hebrew acronym of Sefarim, Tefillin, Mezuzot — the three fields of activity of a traditional Jewish scribe. Stam MF is a digital version.